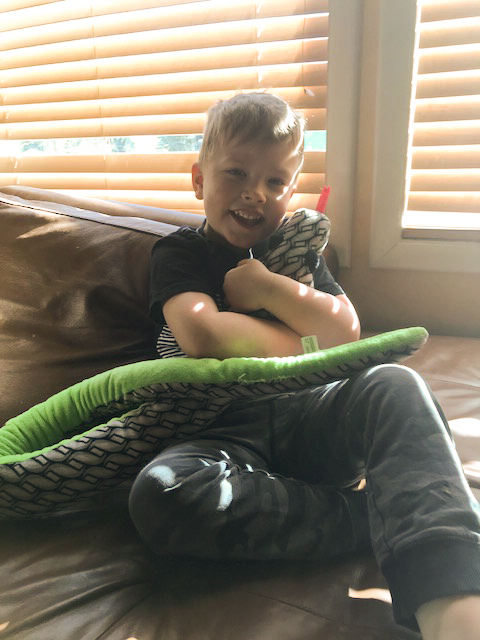 Oscar Staben is a four year old who absolutely loves his stuffed snake, whom he calls Pythie. 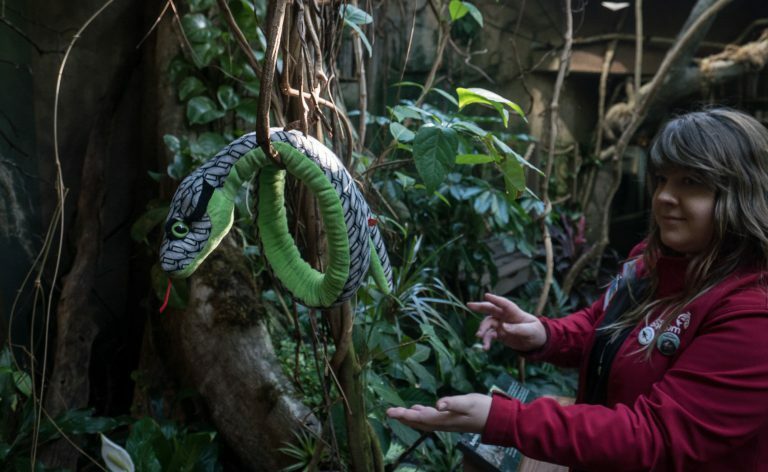 When Oscar and his family traveled from their home in Trail, British Colombia, Canada to the Vancouver Aquarium, naturally Pythie came along for the fun as well. Unfortunately sometime between visiting the seals and petting the sting rays, Oscar set Pythie down and left him behind. Oscar was devastated when he realized Pythie was missing. “To most of us, it’s just a stuffed snake, but to Oscar, it’s his best friend. He cried most of the drive home,” said Oscar’s mom Andrea Hall. When Andrea got home she wasted no time in contacting the aquarium, hoping against hope that Pythie could be located and sent home to her anguished little boy. 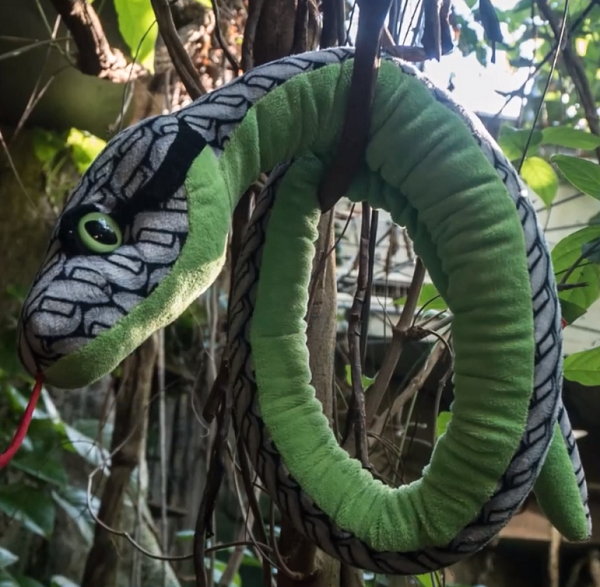 Members of the Aquarium’s Visitor Experience team were quick to reply, but instead of simply finding and returning the lost toy they decided to make the occasion one that Oscar and his family would never forget. When Pythie was found, there was a one inch cut in his tail. 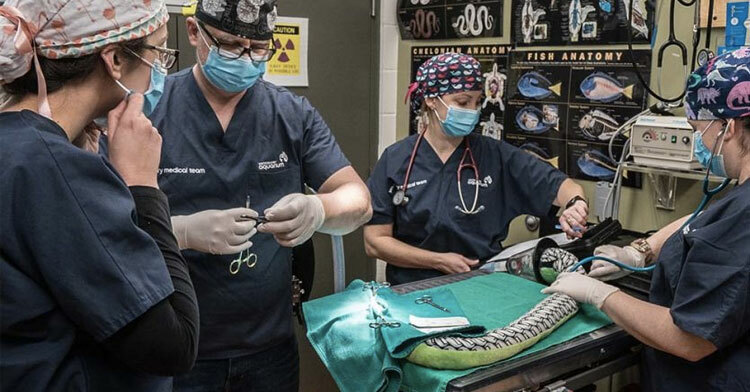 Kelsey Smith, assistant manager of Visitor Experience, consulted with veterinarian Dr. Martin Haulena about the injury, and soon the whole team had rushed Pythie into “surgery” to stitch up his wound. Oscar was over the moon when he was finally reunited with Pythie. 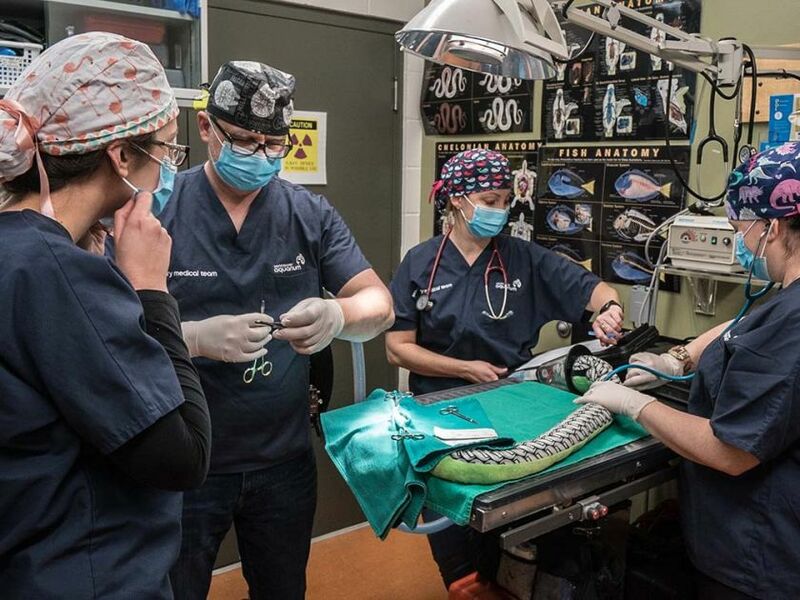 Care and connection are at the heart of everything we do at the Vancouver Aquarium. Our team saw an opportunity to turn a sad experience to a truly memorable moment and, in true Vancouver Aquarium style, there was no shortage of helping hands. What a special thing for these busy professionals to do! This is the sort of action that will result in a lifelong affection for their organization. 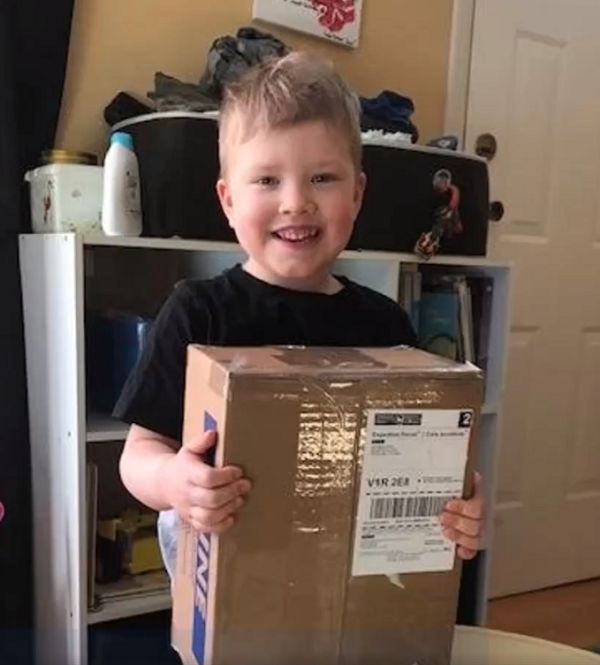 It takes so little to do something wonderful for a family like Oscar’s — we hope this story inspires others to go that extra mile to bring a smile to someone’s face! Please share this story to spread the joy even further.